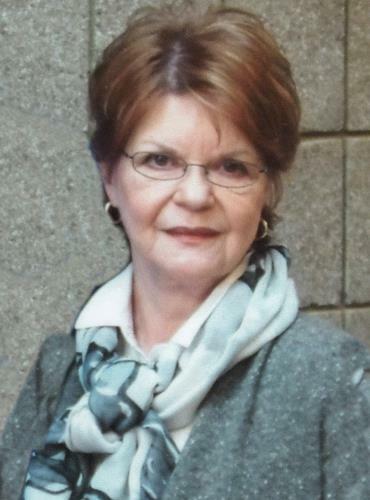 Marsha Thompson Hyman, 73, of Chattanooga, passed away unexpectedly on February 10, 2019. She was a member of Brainerd Presbyterian Church. Marsha graduated from City High School and received her Associates Degree from Edmondson Jr. College. She worked as an Executive Assistant at the Health Center at Standifer Place. Marsha was preceded in death by her parents and a sister. Left behind to cherish her memory are her husband, Philip Hyman Sr., Chattanooga, daughters, Missy (Randy) Rogers, St. Simons Island, GA., CeCe (Joe) LaRue, Chattanooga, and son, Philip (Lisa) Hyman, Jr., grandchildren, Tanner (Holly) Rogers, Logan Rogers, Taylor (Bree) Tittle, Ally Tittle, Hudson Tittle, Mason and Ansley Hyman and many dear friends. A gathering of family and friends will be held in the East Chapel of Chattanooga Funeral Home from 4-6 p.m. on Friday February 15, 2019. A private family service will be held at a later date. In lieu of flowers the family requests that memorial contributions can be made in Marsha’s memory to either McKamey Animal Shelter or to Hospice of Chattanooga.